"Nice if you want a live website"
I like the fact that a prototyped website can look real by giving someone a link with a password. I also like being able to add interactions on the layer itself. It is hard to do anything in high fidelity. I usually do it in sketch and import into Axure but then the image is blurry even at @2x. Use it for prototyping but not so much for high fidelity. I really feel like the position of this tool is quite weird. The share function is a big deal for me but that feels like a very high fidelity driven feature. If it is a prototyping tool, it feels like more collaboration and commenting feature should be emphasized to push to the next fidelity. Also, I am okay with it. But there should be a way to define an canvas size in some way like an iPhone 8 or sth. It is just for design. I used it for an internal portfolio. "One of the best wireframing tool"
It's a super easy drag and drop for creation of the wireframes. - It has support of lots of libraries - some are free and some are paid. Axure has it's own look and feel where you get only middle screen which is very narrow and space from left panel and right panel takes good amount of space. Though you can close it, they are important. You would need little bigger screen to work on wireframes. - Other thing I don't like is they have lots of tabs getting opened when we click on the screen from left menu. I have never switched on the screens from the tabs. - Dynamic panel switching is pain - you have to double click and then reach to panel and then specific state of the dynamic panel will take you there. If there could be easier navigation to reach there, it would be great. Axure is easy to use and much effective and it works the best when you are working with the client who understands only the visual flow. It helps you to reduce the iterations with clients and you can become more productive and create the better user experience for your customer's products. Collaborating with the customers where we can get their feedback on it and improve overall user experience. - Ready to use libraries (paid or free) helps to create the wireframes quickly. - clickable prototypes helps us to reduce to-and-fro with customers. I love the ability to create symbols and a style sheet for items within the program. I also like that Axure is working with other developers for integrations for added functionality to the tool. The ability to link between screens for prototyping is seamless, and the ability to create dynamic panels with wireframes makes Axure one of the more extensive prototyping tools available. Super minor flaw, but I hate the tab window content for pages. When I open different pages, and it doesn't close out the tab, and before I know it I have 100+ mini page tabs open within the window. I've trained myself to pay more attention to that to clear the workspace. I would always pick Axure for my prototyping needs. The complexities able to be achieved within Axure require much less effort than any other prototyping tool I've used. It was easy to learn, and easy to grow within the platform. Gaining insights from critical stakeholders on website projects before they get distracted by the bells and whistles. Axure is used to present concepts and user experience that solves the problems our clients are looking for. We then transition from black and white concepts to design with a much more defined path. We can create a prototype with data fields unlike other tools (Balsamiq, sketch, Adobe). It is very easy to create interactions and define conditions when to navigate to which screen. The screens look very fine and polished using Axure (looks like a real application). Axure has wide set of options to create an interface which you can use. It is very easy to share to public using this tool. Converting the prototype/screens into html is a bonus. Privacy of the tool is restricted. Your screens are in Axure cloud once you share it and whoever has link can access those screens within or outside your company network. The UI library is not very extensive. Example : text field is only one available in Axure (box), where as there are lot of ways to enter a field value (Just a line). If you are looking for a tool which can simulate your product and get it tested before it is built, Axure works perfectly for that. It is very easy to use and define conditional interactions based on data inputs. It gives easy way to upload pictures and use already created screens. You can share your prototype to the team (Inside and outside your organization) and present it. User testing using the Axure prototype is the best way among all that we have. It gives a near real time product experience for clients and users to give feedback. We also use it for demo to senior management and A/B testing. I am able to build the basic wireframes for the dashboards that reflect relations between different forms, pages, transitions- all this gives you a real feeling of "what happens if..."
"Prototypes of all kinds - eLearning Module"
I like the ease of use, the understanding, the exporting of a "live" prototype that is truly interactive. The interactivity allows me to develop prototypes for eLearning Modules that will be interactive when completed. This supplies those I work for with a true feel of what they will receive in the final product. There are some aspects that can be "clunky" at time. The locations of some aspects such as styling are not a logical as I would like and the exporting doesn't give a clear idea as to where files will reside. If you are in education or you are working in a field such as web development, you will find that this tool helps to expedite the process of getting starting on the "real" product development. I highly recommend this product for a variety of reasons - one in particular is that it is a very light product. Second, it is available for mac or pc users. I was finding it difficult to get the right product for my Mac, but this application did fulfil the need. Lastly, the ability to assure that the prototype acts like the final product will is almost 100% possible. I am an instructional designer and develop eLearning modules for various organizations - universities and most recently a book producer. The development of a prototype allows for a quick turn around time so the client can confirm that they want what I have provided or make suggestions of change. The ability to easily create pages and interactions using a familiar layout of libraries, pages and actions. These features allowed for the creation of a fully functional prototype, plus additional conditions can be applied for even more realistic scenario development within the prototype. Certain library elements and menus, especially when using adaptive views are a bit buggy when exported as HTML but it is to be expected because the prototype is being built upon only front end languages and may not behave as perfectly as the fully developed application. Some other features and library items are not fully documented well, such as custom widgets. Hopefully further patches and updates will provide a solution to these minor issues. This application can provide enough functionality to create very powerful application prototypes which would accommodate for solid insight towards the development of final applications. While some level of learning is required, it is very much worth it for any professional or organisation that requires such a solution. I am using this software to provide UXD training for corporate Software Developers and Tertiary Level Students. "Very powerful prototyping tool for real UX designers "
Very powerful prototyping tool, allow you to embed logic and transitions into your prototype, and make it a real functional prototype. You can have your prototype carry user input from screens to screens or pages to pages, so the experience for the prototype testers are very close to the real thing. Learning curve might be steep for some users. But once you master it, you will find it very powerful compared with other so-called "prototyping" tools out there. Spend time to onboard your team, set up team sharing, checking in/out process. Start with small, keep your prototype less complex. There are free and paid resources available, try to utilize that. Start to build your own libraries. I use Axure on a daily basis and rely on it to produce high fidelity wireframes, prototypes, and functional specification documents. It's extremely easy and efficient to use and has a lot of power to build highly interactive prototypes that mimic a production site or app. There is not much I dislike about Axure. The support team is amazing and has been great at addressing any issues and concerns. The only problem I have ever had was file corruption when saving archives on networked storage but I am not sure if that was an Axure issue or a server issue. The main problem I solve is having to produce massive interactive wireframes and prototypes for clients in an efficient and profitable manner. Axure gives me everything I need to so that at a large scale and high velocity. The documentation features are amazing and I use them for most of my business deliverables to clients. "a software to create wireframes is Axure RP"
axure RP is a very complete software that is responsible for designing wireframes also prototypes in the easiest way possible, has one of the best interfaces to generate these prototypes that although you know how to use them work anywhere in your browser. It also has widgets to design faster and automated interfaces for projects within websites. On the other hand, you have the option of creating a type of document called masters, which are used to be able to reuse them in different interfaces that are designed. question that with all this provides the greatest possible security so that with the scope of the designers the best possible work is promoted. So far I have used 2 versions of this program and so far I have not seen any flaw, the difference from one version to another was a new more updated functions, I think it has all the main functions and a great interface, plus the tools of work are simple and easy to use. the main problems are different parts of the design that are integrated with the windows system without any problems, with all this the creation of a prototype and to be able to share it with several clients, we solve the documentation problems through work. In addition, widgets can be used by different custom controls that adapt it to your best possible way, it saves you a lot of time and money by not investing in other software that does not provide you with the necessary tools for professional use. "Almost limitless possibilities for creating complex prototypes, and great for basic wireframes too." Our product requires quite complex prototyping, as it is too time consuming to iterate the actual product in many cases. It's easy to achieve desired layouts and interactivity, you can nearly always replicate the intended design (even visually, if you need a realistic prototype rather than a wireframe). Axure's sharing service is also incredibly useful; we use this to share among the team and to customers for testing. The user interface is a bit dated, it works, it's usable but it's not exactly a pleasure to use. Some things could bit a bit slicker; it would be nice if the interactions panel was a bit less fussy, but to be honest I'm looking for faults. There are quite a few prototyping tools on the market now that I have never used, so my review isn't a comparison with those other platforms. I think newer applications are more modern, but from what I know, nothing is as comprehensive as Axure in terms of functionality. It also gives us a way to share prototypes very easily for user testing and team/customer reviews. "One of the Most Powerful Prototyping Tool"
I love conditionals and adding logic to my prototypes. Axure is one of the best tools and my go to when creating something as close to code as possible. I also love love love the ability to convert high fidelity prototypes into wireframes, or possibly even sketches. Axure comes with an awesome feature that allows you to change up the lines in the prototype to be more "squiggly" or look like something done with paper and pencil. This is extremely helpful when I get carried away and dive too deep into details and want to retract without starting over or losing my work. I think the learning curve to Axure is a bit steep. But the community and support around the tool helped me not to hold onto that dislike for long. I also am not a fan of the lack of communication between Axure and Sketch. I think a lot of people are moving towards Sketch and not everyone likes Invision. So of the integration between Sketch and Axure were tighter, I'd be using the tool A LOT MORE! This is definitely a nice tool to learn and have under your design belt. Although the integration with Sketch is not where it should be, it's still manageable when it comes to importing .svgs. If you're coming from a tool like Photoshop, you might have the patience to learn Axure, but warning in advance, it does not have the same shortcuts, etc. The support/community around Axure is great and there are some nice widgets that can help you get started! I'd more recommend for those into web design, verses mobile. Axure saves time and resources. As mentioned above, this is my go to tool for creating prototypes as close to code as possible. If you are new to interface design this program will allow you to turn out Whatever you’re mind can come up with. Within reason. You will not be creating after effects like animations. But you will be able to design some amazing interfaces in no time at all. There is always an issue with most software now. Too many ways to get to the same thing. From right climbing to drop down menus to icons to click on. Most companies are doing this now. It seems that 10 ways to get to the item is best. I don’t get it. While you can do the same thing for screen layout in most design programs. This allows you to link, embed, build, change, modify etc. All so quickly. It almost seems funny. Simply put. Rapid prototypes. This is the easiest way as of now for myself to display and provide clients with fast feedback. "A powerful mockup app "
The best thing about axure is that it can customise actions with simple formula counting. Also, the interface is easy to pickup, one of the best things is that can copy and paste directly. and layers matter to a lot of situations which is really helpful. Still, there's a lot of things to improve- such as the setting of transition effect, should be able to move around with space key in a screen because it's easy to get lost within. Some of the formula settings are complicated as well, which is a bit unfriendly to junior users. After testing the beta version of the latest release, didn't find any significant improvement or changes compare with the previous one. If Axure can do any further user testing questionnaire maybe can help to enhance the usabilities. Currently, we use Axure RP to draw low fidelity wireframes, communicate flowchart. I found that it's really good that can gather these information all together at the same project. "Best Wireframing Tool Available "
The ability to create highly interactive content and elements in adaptive views, providing development teams the ability to visualize designs and functionality in hi-fidelity, guiding the overall production process. In an ideal world, the responsive breakdown of elements would behave and function like that of a truly responsive browser window. Also, the coding of "if x than x" behaviors can be a little convoluted and cumbersome, however, it does allow for very precise interactions that other tools do not provide. With Axure RP, we have overcome many of the process barriers that were plaguing the overall marketing > creative > development hand-off process. With Axure, we now have the ability to bring static mockups to life with hover states, click behaviors and rich text that can be showcased in live browser environments with the ability to collaborate and communicate across teams, all through the AxShare Cloud. "Pretty Much Everything You Need, Some of What You Don't"
You can make some very high level prototypes with Axure. You can make them as simple or as complex adn beautiful as you'd like. Discussing, collaborating, and sharing are made very easy. It is really nice that you can use it for other UX tasks like flowcharts and sitemaps - then you can link them all together. Sometimes Axure can over do it and make make a task too complex just with the openness it allows and ability to take things so far. Some features, like custom widget styles, are good ideas but not executed well. Their support is not that good. I have attempted to contact them and posted in the forums to no avail. Use the free trial and get a feel for it. There is definitely a learning curve! The ability to make fast and accurate wireframes and high level prototypes is key. Also, sharing the prototypes with clients and other team members and receiving feedback is a must. The quality of our prototypes is quite amazing and clients and developers really appreciate it. "Axure RP - Extensive Prototyping made Easy"
Axure allows for nearly everything a UX Designer could desire. The capability is extremely extensive, allowing for wireframes and prototypes with extreme detail. The software utilizes intuitive thinking and UX Design to provide the UX Designer themselves with the best tools to wireframe and prototype. There is a steep learning curve to Axure. In addition, there are a few features that could be implemented that would be massive time savers and the comment feature on published sites could be improved. Although the learning curve is a bit steep, once you have a handle on Axure RP you will never look for another UX Design software. The only downfall is that our company does not find the client comment section once a wireframe is published satisfactory. We end up using different methods to track client comments. We are utilizing Axure RP to design software for our clients. It has allowed us to be as thorough and creative as we possibly can. The software is rarely a limit for the detailed, user friendly wireframes and prototypes that we strive to produce. I like being able to add logic and deeper functionality within the mockups. I've done a few mockups and I enjoy doing logic like if-statements in case certain options are selected and redirecting to different screens. It's like a combination of InVision and Sketch because everything is done within the app. The buttons have functionality already, no need to map hotspots. The shapes and graphics that they allow you to implement aren't that extensive. Textboxes for passwords/ usernames and whatnot have to the textbox that they give you (you can't go for a minimalistic design and use a blank line, for instance). It feels like a mid-fidelity tool because it allows you to explore different functionalities but it doesn't help your software look as complete. Take some time and watch some reviews when it comes to using the software and different buttons and all that. It takes some time to get used to but it is worth it in the end. I am creating mockups and making them realistic as to how they would function if they were fully developed. I do lots of user testing and improve actual products before they are even fully developed. "New user of Axure and loving it so far!" The ability to create and share with a client a working prototype of their website is wonderful - all to often I find that clients are not able to visualize how a website will work unless they can get in there and use it. I'm still fairly new to using Axure RP, but I have found that if I use fonts that I have installed on my computer, and the client does not have those fonts installed, the display will switch to a default system font. There is a a workaround to this, but it took me quite a bit of time to research it and figure out how to make it work. Definitely worth using - the client love being able to see their potential website as it's being created and be a part of process. As stated above, the ability to present to a client a 'working' prototype of their website is fantastic. And giving them the ability to leave comments on each individual page for edits is so wonderfully efficient. "Excellent tool for mock screen (Prototypes) creation with navigation flow"
It is very friendly to use. Drag & Drop widget approach to create web, mobile application screens. Various Fidelity (low, medium, High Fidelity wire frames). We can design Flow Charts. We can easily design Annotated Wire frames. So that the user can easily understand the flow of a web site or a mobile app. This is very useful in developing web/mobile applications. It reduces the time of analysis approval in the software development. "Excellent wifeframing software with a gazillion options"
It's very powerful, and I can program it to perform a multitude of complex interactions. I will say it's best features have started to be included with Invision and Sketch, but the ability to upload a working prototype quickly with interactivity is amazing. It's expensive, so getting additional licenses for others is a challenge. It also has a steep learning curve. It's a good product for a specific need, but in terms of design it's a little behind the curve. With Adobe XD, Figma and Sketch all widely available and relatively cheap, or free, Axure RP is a bit harder to justify these days. We mainly use Axure RP to prototype page ideas or interactive phone applications. It's made collaboration with business units and rapid prototyping of ideas much quicker. "Great tool for prototyping and wireframing"
Axure RP offer a layer based stacking for the structures segments which makes it a lot less demanding to make communications with various components of the plan. Additionally, what is incredible about Axure RP is that it distributes the model as an interactive electronic HTML model which can be opened up in any program. A couple of things are not as natural or impractical with Axure. It does all that I require it to do with the exception of the capacity to have dynamic experts. I wish I might make an ace and alter each occasion on the individual pages. I additionally wish getting customer remarks would be somewhat less demanding. Ready to create the model and present to customer or colleague remotely through Axshare. "Great for prototyping interactive workflows"
The collaboration (check in / check out) features within Axure RP make it a more appropriate tool for small teams than applications like Balsamiq, which are effectively single user tools. Another thing that I really like about Axure RP, is being able to create reusable components that can nest. Balsamiq, another great prototyping tool that I use regularly, does not allow symbols to be nested. Axure allows me to create more advanced interactions with fewer components. Building out a simple table of demo data is painful with Axure. I've been working with big grids of data for much of my recent design work, and it's akward to make Axure RP display data the way I'd like for it to. There seem to be more and more prototyping tools on the market every day. Axure is a robust product that still continues to improve with every incremental release. If collaboration between designers is part of your internal workflow, Axure is a prototyping tool that you should give a shot. I need to communicate design concepts to product management, and design details to software developers. Axure is a reasonably robust tool that allows PMs to click around within a prototype, and provides developers with a pretty detailed specification document (if you choose to put the effort into building it out). "Use Axure if your design can really improve with logic statements"
For wireframing and prototyping, Axure offers the power to set variables that persist from screen to screen. It's really handy when building an app that requires some user input and a system that responds to input data. The interface can really use a facelift to make things stand out more. It feels like a very old-school, developer-friendly interface, but lacks some modern design elements that makes working in Sketch feel good. Also, it's missing the ability to measure pixel distance between objects which doesn't encourage making high-fidelity prototypes. Consider Axure when you need concept validation, not for high-fidelity mockups. Axure RP is great during the UX portion of a project when you really need concept validation. Allowing user input to persist through variables while still being a design centric tool is the main value proposition. "Axure = create and experiment before starting design and development"
Axure is very powerful, and as such, it allows to create highly interactive mockups, not just static UI wireframes. You can simulate any web mechanic, with most of the transitions and effects built it, and for the most innovative ones, you can actually define them on your own. Next time you need to use the custom effect you created, you use the previous template and don't start from scratch. For me, it's first used as a "scrapbook", since I can gather inspiration with notes with ease inside Axure. At the second stage, I am creating static wireframes for responsive products. I dislike that I need to use many external libraries, instead of having an all-in-one icon/template library right inside Axure. My first priority as an Axure Product Manager would be to make sure we're offering an up-to-date template library from inside the product. If you often find yourself fixing things inside Photoshop or other software done by UI designers, or making multiple UI/UX fixes post-launch, you should use Axure to "nip it in the bud". It's great for any level of discussion, but at the early stages it's enabling rapid prototyping and experimentation, and allows you to gather feedback from everyone at a fraction of the cost of making design and code. We're getting everyone on-board for UI before we commit to design, which can mean days saved on design. We're showing new functionality and the full user flow through simulation, instead of showing screenshots or videos. We can A/B test flows with users, before we build experiments in Optimizely/VWO or any other tool, which saves web development time. "Photoshop is useful when doing visual design, however it is not the easiest to learn." I like that there are numerous color palettes to choose from, different shapes and styling elements you can use, and the ability to share saved files even with those who do not have the software. The learning curve for Adobe photoshop is very steep. I found it difficult to learn, and other desginers say the same thing. Illustrator is definitely an easier tool to learn with the ability to do the same things. If you are a VERY skilled visual designer or graphic designer and would like to step out of your comfort zone by learning a new product, Adobe Photoshop is great for you. However, I think that there are better options out there that have the same if not very similar features. The business problems solved using Photoshop are the creation of static images on screens. For example, maps of countries, flow diagrams, login page pictures of a product. It also helps with marketing in the creation of different visuals for presentations, posters, and flyers. Conditional logic in prototypes allows for infinite customization and complex interactions. Dynamic panels can be used to mimic native mobile functionality. Has a native mobile app to present prototypes. Lacks integration with Bohemian's Sketch. Designers without a development background may have difficulty understanding some of the more complex features of the program. Pair a designer with a developer to assist with logic if needed. How can this tool improve our product? Iterative development driven by user testing of app prototypes. Quick and easy to put together simple prototypes with basic interactions. If you can invest a little more time you can also incorporate more sophisticated interactions with the use of basic scripts. I also recently started using flows to illustrate the process steps or decision and a styles page for developers. Have not yet been able to figure out a way to work with a team. I know it is possible but not as simple as I was hoping. Axure RP prototypes are high fidelity prototypes and you need to make sure your users understand this is not the final product. We develop software and automation solutions for our customers and the prototypes with Axure allow us to review our understanding of the customer needs and acceptance criteria before we even start coding. This saves us time from re-work or last minute changes. "Smooth and easy prototyping with Axure RP"
I really like Axure because it scales to your needs and is easy to use! I love that you can make FUNCTIONAL prototypes with this software! Being able to present a "working prototype" is a huge benefit of this tool. I also love the fact that you can have "pages" that when published can mimic a real working website. Axure has some of the features which needs a learning curve. I wish there was a spec sheet to hand off to developers. Often when I hand over my wires, they have to replicate what I've created just by sight. The default graphic set is not vast so you might have to rely on some external graphics. It's great for complex interactions, sharing, generating HTML files. "Great for interaction design. 1 prototype saves 10 hours of meetings (and 10 hours of QA :))"
"One of the better interactive prototyping tools available"
Shortcuts and zoom are a bit different than what most graphic design programs have. Dynamic panels and conditional logic have a learning curve. The Axure website has a helpful tutorial available for beginners to learn some of the more complex features. Axure enables my company to perform rapid protyping so that we can create low to mid-fidelity designs upon which we iterate. It’s one of the best tools for creating life-like responsive prototypes for user testing. Once you have a firm handle on how the program works, everything is extremely straight forward and intuitive. Also, the icons that comes with the program look professional--less bubbly and round like some other products have. There's a bit of a steep learning curve, which makes it a bit unaccessible to beginners just starting to work with wireframes. The resource library that Axure has does make up for that a bit. At least work with the free trial, and really work through the user library and introduction videos. Those will not only really help ease the learning curve, but it will show you what you can, and can't, do with Axure. At the worst, it's a week of work for something that you're not really going to use. At best, you've found a product that is consistently allows you to put out good deliverables and products. Mostly how to make products and designs more accessible to users. Often this involves establishing wireframes and prototypes that are tested during multiple rounds of usability tests and evaluations. What we found through Axure is that, when it comes to general design, keeping the set-up and navigation extremely simple, and breaking a problem down to it's bare bones has a high chance of being seen as both useful and accessible to our users. "Complex Prototyping Made Simple ... "
Love how easy it is to create complex, interactive prototypes to help showcase new features and functionality that we want to implement without spending the money to have development code our potentially throw away designs. Love, love, love the community - the only way to find solutions to problems and better ways of producing effects in my prototypes. Some of the more complex functionality requires some coding experience (building out expressions), which for new users can be a tad intimidating. The way in which layers are represented could be improved greatly (think Photoshop layers). Love, love, love their community - I have learned so much from their community site. They have really nailed their community. You can do some pretty tricky things! Testing out design ideas early in the ideation phase. "Using it for interaction design"
The best part about Axure is that you are able to organize it effectively when you are creating an information architecture of the flow. You are also able to add in comments that help when it comes to design review sessions. The complexity and how it lags and memory it takes up. It can be confusing at sometimes when there are way too many things that are happening at once and on the interface as well. I also don't like how it doesn't keep up to date on the user-experience and updates its interface. I am solving a user experience interaction flow using Axure RP. The benefits is that it is well organized. I like that you are able to create a high functioning, almost real website. There is a ton of functionality and endless things you can do with Axure. It takes a while to figure out how to do things, but once you get into a habit and repetition it gets easier. I think that while you can do a lot of things with the program, it takes a while to learn the system. Sometimes I learn things just because I happened to stumble across them. Often, things break in your prototype and you can't figure out why and end up redoing your work. And to my comment above, it is only easy to use with a lot of repetition. It would make my day to day work a lot easier if it didn't take as long to remember how to do things within the program. We are able to show high fidelity prototypes to clients using Axure. "Great for interactive prototypes with basic animaitons"
Great for creating clickable prototypes. I can create a very dynamic prototype that looks and feels real relatively quickly. Very few other prototyping tools offer interaction patterns that are as dynamic and complex as Axure. I can create things that resemble things in code (if user clicks X, set global variable Y to true, then if user clicks Z, show A). It's very easy to have a shared library and puiublish your work to a sharable link. I dislike how wireframe-y the final products. You have to work really hard to get things to look fine tuned visually. Shared prototypes are also very slow and crash often if they're bigger than a few pages. Also hate how certain fonts do not render properly, and just display in Times if the viewer does not have the specific font installed on their computer. When comparing to others, Axure is nice because of it's interactions. It's beneficial for creating prototypes to share with engineers. Easy to show user flows and communicate how things should function. "Easy tool for wireframing and creating user flows"
Axure is extremely easy to learn and use. It allows you to use premade buttons and icons to simplify the wireframing process simply by clicking and dragging. Aligning elements is done automatically, leaving wireframes to appear neat and usable. I wish there was a feature to set screen sizes with templates to commonly used devices like Adobe programs have. I had to manually create a frame when I was designing for the iPhone X using boxes of Axure. I used it to wireframe and present a user flow to a client for a mobile app. It speed up my process by being very simple to use. Prior to this I was using InDesign to wireframe since my computer is unable to run Adobe XD. Axure's premade icons meant that I didn't have to spend time bringing assets into the program. "still the most useful wireframe tool for me"
It can be very fast and convenient to build up my wireframe and prototypes using Axure, because there are a lot of existing libraries which are shared by other users and my colleges. It is still the largest ux tool, so many big communities provide me the best resources when using it. I feel it is a little bit heavy in terms of installing, sharing and presenting. If I want to show my boss a very small idea or a small prototype, I will also need many steps to make it looks better. Btw, the team project feature is great, but as a manager, I would like to have a team workflow function with it, which allows me to assign different task and element to my team members. "I really like Axure because it scales to your needs and is easy to use"
It's flexible and works if you want a quick wireframe or if you want an interactive functional demo. It's got good online support in forums and training videos and the price was much better than other tools I tried (like iRise). hmm. As great as dynamic panels are using that approach to show alternating row colors for tables is very tedious. Buy it ;) This is one of my favorite tools as a BA. The low price point was a factor in our purchase initially but now that I've used it I wouldn't take another tool over it. Upgrades are a breeze and the community libraries are good. We use Axure to better explore business requirements, to prototype screen designs, and to quickly product a variety of samples. It lets us more quickly put together these samples, and it lets lower cost staff do it saving valuable Developer time. "Highly recommended prototyping tool "
Its is user friendly, you can see video and learn. I learned axure on my own & I'm using this for all my prototyping requirements. Easier way to share link with clients for there review. Should have layout selections such as ipad / desktop / mobile. It would be easier if multiple user can work on same project at time. One of the best & user friendly prototyping tool in market. You can share links with your clients , no need to buy reader to view this. I'm using this as a first point of discussion with my clients, once we get sign off we develop it on softwares like Tableau / SSRS / MSBI etc. But because of axure actions / layout / design clients get actual feel how it will look once developed. "Flexible and powerful, but with its own UI quirks and heavy, unusable code"
I can accomplish (or mimic) most interfaces that I want to demonstrate to clients. As the UI has become more powerful, a good portion of the controls have moved into hidden, unintuitive, and difficult-to-find areas, making it slower to produce work. You will still need a skilled front-end developer to implement your designs, as the code is not usable. Also, some interactions take significant experience with Axure to create and develop. Clients often have a difficult time visualizing a recommended solution. With Axure, I can easily illustrate our vision -- in high-res, low-res, and anything in between. However, the end code -- while useful a prototype for testing and for discussions with development -- cannot be used as a front-end prototype for final development. "Delighted user of Axure RP"
All of its features! Wireframing has come to life using this program. I am easily able to wireframe entire applications that would have before not functioned like a real website. The clients that I create the wireframes for using this product are fantastic compared to anything else that I have seen. There isn't anything that I dislike about the program, but I have had some trouble before exporting the files into HTML pages. The company that I work for sees the Axure files as unsecure, and doesn't let us put them on the servers. Therefore, we are stuck having them on our personal computers. This is not a program necessarily with Axure, I understand, but it has made my job a difficult to share the wireframes sometimes. I would highly consider it. There is nothing to lose with the product. It is the best on the market for creating WORKING prototypes quickly. Almost anything that a real website can do, Axure can create. I have had quite a few clients believe that an Axure wireframe was a real website coded and everything. Give this software a try! I am wireframing business solutions and making sure that the client likes their website before actually building it. I am saving a lot of time using this product rather than using Photoshop, which is way too advanced for what I need, or another online program, like Invision. The stuff you can create in Axure, for much less time than these other programs, is what makes it superior. The interface has only gotten better with each version. It’s very straight forward and not cumbersome like other applications. It makes prototyping concepts very easy and efficient. The support within the community is very large so finding answers when necessary is very easy to find. I wish it had a wider support for user feedback/transitions like other applications on the market. Keep doing what they are doing. It’s working! "Very powerful but steep learning curve"
Axure is so powerful. You can create really high fidelity prototypes with it or really low fidelity prototypes. You can add so many different types of interactions to simulate working software and export it to HTML files or a live URL for user testing. It has a very steep learning curve and is more PC-user friendly than Mac-friendly. They should provide more in-app tours and tutorials on first use, rather than making the user find it online. It also takes a long time to create a nice prototype instead of the Agile and Lean design methods of using sketches and wireframes (although it is still possible to make simple wires in Axure). Definitely a powerful tool to have in your toolbox. If you have an enterprise account, I recommend getting your administrator to set up training sessions with Axure's trainers to help novice users get up to speed quicker. When the interaction design of software is complex, Axure does provide the various interactions to be tested by users. This helps to validate not just the screens but the emotions and behavior of the user when a page or element behaves a certain way. Axure makes it fairly easy to create high fidelity wireframes & prototypes. This is particularly helpful for clients who have a hard time visualizing with low fidelity wireframes. Dynamic panels in particular help me create near final product prototypes for these clients which are also helpful in conducting user testing. Importing of images and widget libraries isn't always easy. I often wish it were quicker and easier to modify library items; this slows down my process significantly. Another small complaint: I wish it was possible to zoom using the trackpad. These are a few things that Sketch does really well and I miss when using Axure. As mentioned, Axure wireframes and prototypes help in communicating with clients. So far, there has been very little that I client has asked for that I haven't been able to demonstrate to them in an Axure prototype. 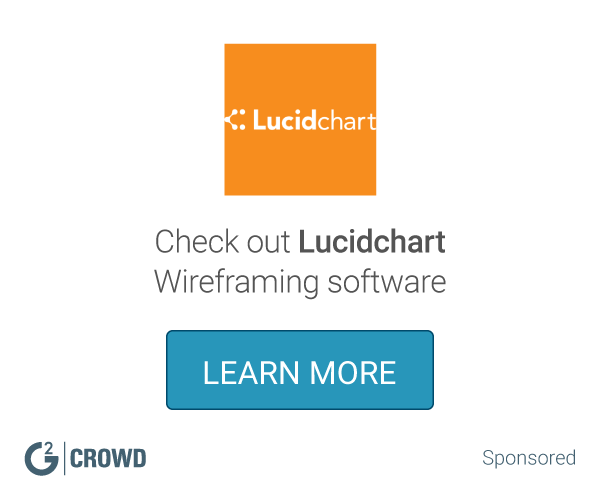 "Review of Axure RP as a wireframing tool!" I have been predominantly using Axure RP for wireframing various websites design, as well as, some mobile applications. The best thing about Axure RP as a wireframing tool is it's simplicity. Within minutes, I can come up with a very accurate and easily understandable wireframe for website / mobile application. It is a wonderful starting point in my design process. It abstracts things to a level where I can have the freedom to play with user-flows and layouts, while at the same time being rigid enough to put some overall degree of structure into the design. Also, I really love the wonderful community using Axure RP and their helpfulness to help newcomers. Many a times, my queries have been answered by some very helpful community members who even went to the extend of sending me the .rp files. Widgets and other plugins developed by them have been very helpful at times. - Clunky and (somewhat) archaic User Interface. I believed it can be improved to a great extend. - I personally believe that it is too expensive. I couldn't afford the full version of the software on my student stipend. - Not being able to link Dropbox / GDrive / Box and other cloud storage services. Go for it if you want to quickly wireframe / prototype a design, without focussing too much on the visual aspects of it. And if you want to get feedback on low fidelity designs! 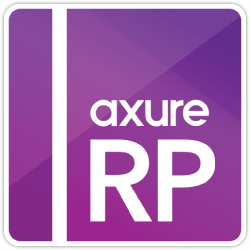 * We monitor all Axure RP reviews to prevent fraudulent reviews and keep review quality high. We do not post reviews by company employees or direct competitors. Validated reviews require the user to submit a screenshot of the product containing their user ID, in order to verify a user is an actual user of the product. Hi there! Are you looking to implement a solution like Axure RP?